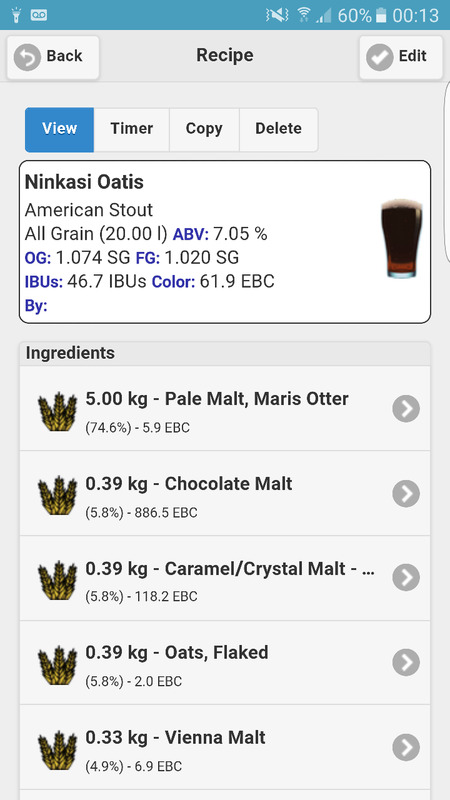 I'm torn between The Kernel EIP and this Stout from Oregon Brewer "Ninkasi". This is straight out of the Euan Ferguson recipe book. My first query is the short mash time. What are your thoughts on this? I've never heard of such a short mash time. Also what type of Crystal would you expect to use here? Should i be concerned about that FG? Do you this this size of grain bill is a bit too complex for someone at my level? I'm not about keeping things simple obviously! Its probably worth mentioning as well that Nugget doesn't seem to be available from MM at the moment. Any suggestions on a substitute? Dude stop other thinking and just brew something, strong stouts always, always taste awesome! robwalker wrote: Dude stop other thinking and just brew something, strong stouts always, always taste awesome! I'm going with this one mate for sure. The mash time was the one thing I was curious about mainly. I usually mash for 75 mins..! Any suggestions on replacements for Nugget? 90 mins might make for a more fermentable wort depending what kinda FG you're after. 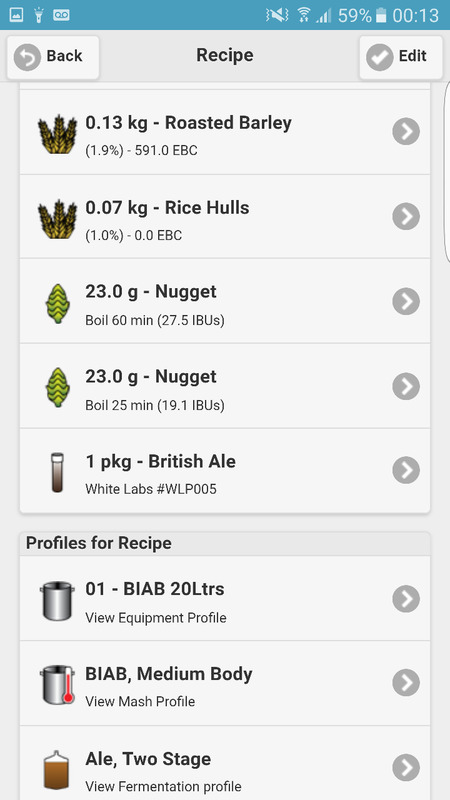 Those hops both sound fine, nugget are American aren't they? robwalker wrote: 90 mins might make for a more fermentable wort depending what kinda FG you're after. Those hops both sound fine, nugget are American aren't they? I opted for Columbus at about 40 IBU. Its on order, so I'll be kicking it off on Saturday. The book references an OG of 1.070 and an FG of 1.020 which is what Beersmith brought up as well. It struck me as odd at first but ive seen a few posts dotted around that suggest 1.020 isn't such a bad finish. This is where I'm not experienced enough to understand exactly why this is or what final finish it would provide - I presume more on the sweet side with the larger sugar molecules harder to break down? Its the 40 min mash that has me totally confused though. With the size of grain bill I have, won't I struggle to hit my targets with such a short mash time? No need for the rice hulls - they aid in lautering, but you only really need them if you're using a LOT of wheat or Rye. HTH1975 wrote: No need for the rice hulls - they aid in lautering, but you only really need them if you're using a LOT of wheat or Rye. Left them out mate as I figured I wouldn't need them. Just as an aside, you can also replace rice hulls with wheat husks - they do the same thing. However, as I said before, they're not required with your grain bill.